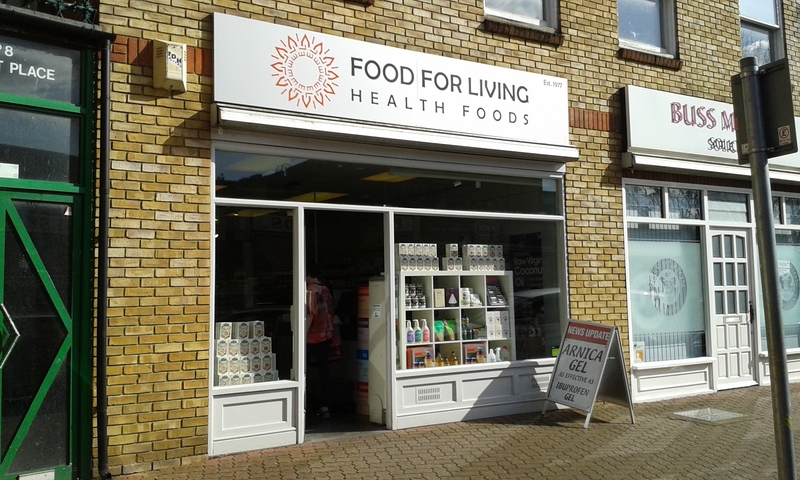 Welcome to Food for Living health food stores in North Kent. We are an independent health food store, with branches in Sidcup and Dartford. We offer a wide range of popular health food brands and provide a wide selection of wholefoods, vegetarian and vegan foods, free-from foods, food supplements, herbal products, natural bodycare, aromatherapy products and much much more. We also provide a food intolerance and allergy testing service along with a wide range of other natural therapies. We would love you to stop by and talk to our knowledgeable team about your health and wellbeing. We have two branches, one in Dartford and one in Sidcup.